It’s been over a month since I arrived in Leeds now. Given how behind I am in my travel blog, I thought I would skip ahead a bit and talk about why I travelled to Europe and why I’m actually here! 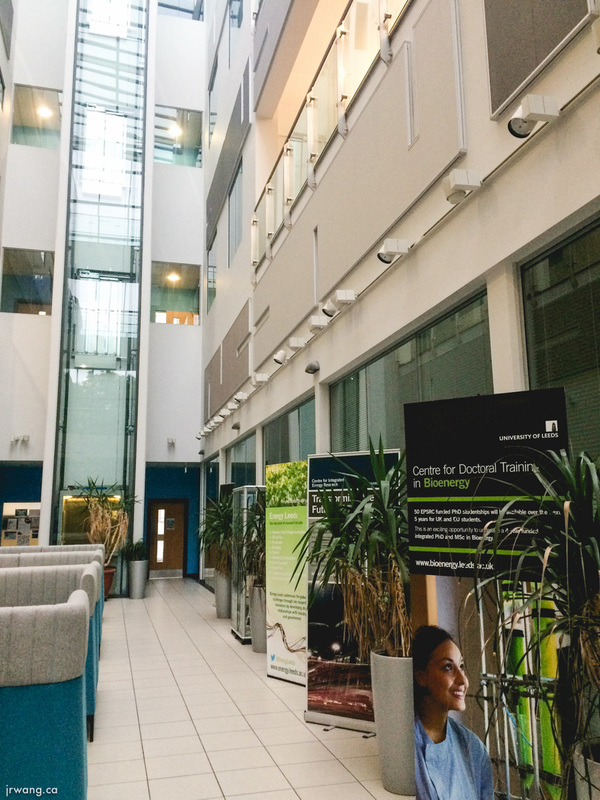 I am spending my summer at the Centre for Integrated Energy Research working on the C-MADEnS project, a multi-university consortium collaboration set up to tackle multi-disciplinary energy storage issues. This work is funded by the UK Engineering and Physical Sciences Research Council (EPSRC) which is similar to the Canadian Natural Sciences and Engineering Research Council (NSERC). Both of these government agencies provide public funding for research projects. It is an incredible opportunity and privilege for me and I hope that more students will be able to access similar experiences in the future. Only 10-12% of Canadian undergraduate students have international exposure during their degrees1, a proportion that has not changed in the last 6 years2. Though not a fair direct comparison, 30% of Germany’s undergraduates go abroad and their government is determined to raise this number to 50% by 20203 [more]. But what does energy storage mean? And why do we need it? A glossary of terms is at the end of this article. Human society currently uses energy for three main uses: heat/cold, transportation, and electricity. In this post, I’ll focus on the electricity portion since it is what my work focuses on. There are many cross-overs between the three groups and I hope to write about them soon too. For context, the U.K. uses energy in the following distribution: 40.5% for heat/cold, 33.1% in transport, and 26.4% in electricity 4. There are two major purposes for electrical energy storage: to protect electricity infrastructure and to allow renewable energy sources to be used effectively. The most common technology on the consumer market is currently lithium-ion batteries. These are the same batteries that power laptops, phones, and electric vehicles. In fact, Tesla has packaged its battery technology to be used for storage as the Powerwall for consumers and the Powerpack for commercial users. Similar to traditional hydroelectricity but downstream water is pumped back uphill to store it – I visited Dinorwig in June! No photos were allowed though. A more comprehensive scientific review can be found here – it’s very technical but informative read. energystorage.org also has a list. Peak events are events which cause electricity demand to spike. If you’ve ever seen all of the lights in your house dim, this is called a brownout – the generators cannot supply enough power to the electricity grid to supply everyone’s electronics as they were intended, which can damage them. I experienced this personally in Asia, where air conditioning use in the summer strains the system. There are more severe but equally likely examples. When many people turn on their televisions to watch major football (soccer) games or tournaments together, there are demand spikes. Penalty kick shootouts have been especially notorious for causing demand spikes in the UK 6. To compound the problem, people usually turn kettles on after games to brew tea7. At the other extreme, sudden drop in demand can also be harmful. On Earth Day, many of us turn our lights off for an hour at the same time and may cause the grid to have too much power. If a brownout situation is sustained or there are many unexpected fluctuations, the entire grid could be at risk for damage because equipment will be operating with too much or too little power. There are also hidden effects: sudden increases in demand mean power plants have to rapidly ramp up and unexpected decreases mean they must quickly lose energy to protect electricity infrastructure. However, most power plants today take time to make changes because they are meant to provide steady power8. As a result, these unplanned changes usually result in inefficiencies9 because they prioritize speed. Energy storage is needed to support the integration of renewable power sources into our grid because renewables are intermittent resources – they are not steady. To complicate matters, there are three main levels of intermittence. I’ll call them short-term, medium-term, and long-term here. Cloud coverage can cause solar irradiance fluctuations and wind usually comes in gusts. Since we do not time our kettle or TV with these fluctuations – that would be very inconvenient! Rather, we have to be able to save the generated electricity when the sun is out to when we need it. If you have ever used a crank flashlight, you’ll remember that they produce light when you turn a handle. As soon as you stop turning the handle, the light goes off. But some models have a battery inside that you can also charge by turning the handle. These save the energy for you to use later by flicking the switch on the flashlight. Solar irradiance and wind is like the handle in the flashlight, our appliances like the light, and the storage is the same. If you had solar panels on your house, they would generate electricity when the sun is out during the day. However, you need more electricity for cooking, TV, laundry, etc. when the sun is gone at night. Therefore, to use solar power effectively, we need to move the energy from the day to the night. Instead of minutely shifting energy needed to combat short-term intermittence, medium-term intermittence needs to shift energy hours apart. The issue becomes even more problematic when we consider that there is more sun in the summer and more wind in the winter (in the UK)11. Unfortunately, they are not completely complementary12 and are harnessed in different ways. Most notably, solar irradiation provides both infrared radiation for heating as well as visible light radiation for solar panels. Though both types of radiation can be used to generate electricity, the thermal energy from infrared radiation can be used directly to heat water. People also use electricity differently throughout the year. 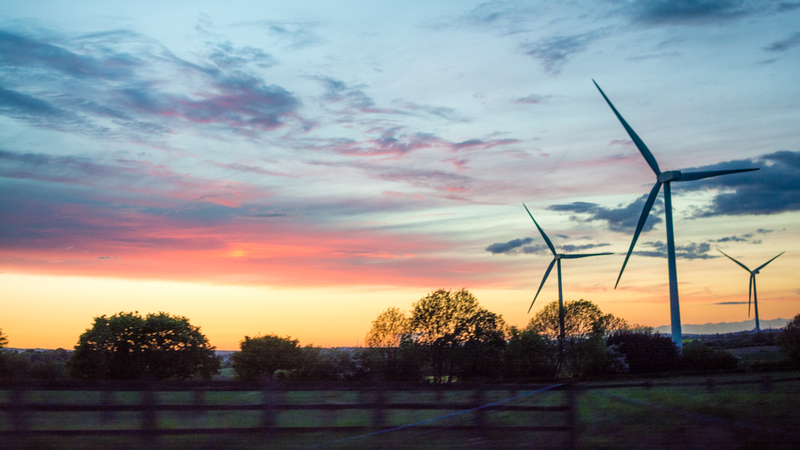 U.K. residents consume around 50% less for heat and electricity in the summer13. At Drake Landing Solar Community in Okotoks, Alberta, large underground tanks store warm liquids used to cool solar panels in the summer and extract it in the winter for hot showers, laundry, or other uses. Medium-term intermittence has led to situations where electricity system operators will actually pay wind turbines to be turned off14,15. This effect is commonly referred to as the merit order of power generation. In the figure below, there are three types of demand defined based on their proportion to the changing part of demand. Baseload is steady and needed throughout the day, intermediate is needed for more than half of the day, and peak only for a few hours. As mentioned earlier, steam-based power stations like coal and nuclear ones take a long time to make changes. If there is high baseload generation, excess power from wind turbines or solar power can damage the entire grid (‘wrong time generation’17). Or when a peak demand situation begins to end, electricity system operators must evaluate which system to turn off. Since wind, solar, and gas are more flexible and easier to turn off than coal and nuclear, they are usually selected first – hence, the merit order. Power sources also have different costs. Nuclear and hydroelectricity are generally cheap whereas coal and gas are more expensive. Wind and solar again become cheap, so they are turned off before gas. Therefore, it is difficult to rely on solar and wind in case there are sudden changes in production or consumption. During the current and planned transition to a zero carbon grid, natural gas power plants are becoming popular to buffer systems because of their flexibility, built-in storage, and cleaner combustion. However, natural gas power stations with carbon capture and storage technologies will still have a greater carbon footprint than hydroelectricity, solar, and wind18. If we can store power from solar and wind better and control its distribution, we can smooth renewables’ supply, need less coal, and not have to rely on gas. For houses or businesses with their own electricity generation, energy must be stored from when the residents or workers are not present or not very active to when they need electricity. This is because generation depends on the weather, cloud cover, time of year, and other factors that are not related to the users! Or, if there are concerns about fluctuations in voltage or frequency from the grid, storage can protect a home or certain appliances. In fact, many companies already use lead-acid battery ‘uninterruptible power supplies (UPS)’ in case of intermittent power. This is especially important in smaller or rural communities that have relatively smaller grids. Some businesses are also charged electricity by the time of day. 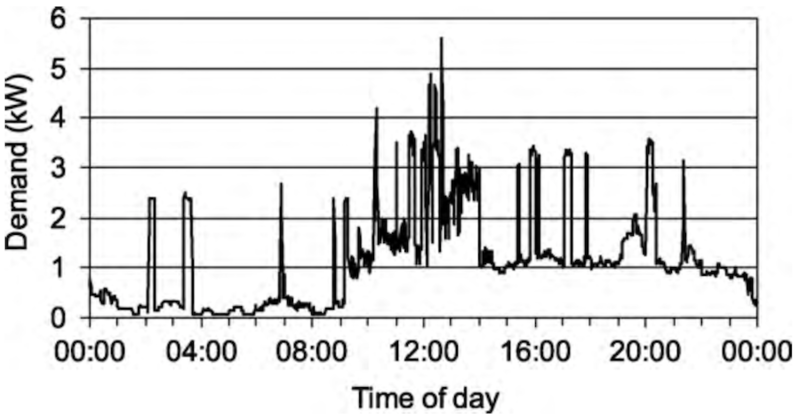 During peak hours when there is high grid demand, electricity costs more because more coal or gas is needed to offset medium-term intermittence. At night, electricity generation returns to just baseload levels and becomes cheap again. For large users of electricity, it can make sense to buy and store electricity when it is cheap to use it later when it is more expensive. The transmission part of the grid connects different generation sources with customers. Since unexpected loads can strain generators, storage at the city or neighbourhood level can improve grid stability for everyone. In a way, storage at transmission points acts like another source of generation. Think of it like being a UPS for many people. By controlling distribution and smoothing the supply of electricity, engineers and electricians can use less construction materials. Take a copper wire for example – they currently have to be thick enough so that they do not melt when peak power or current flows through the wire. But later, when demand and therefore power and current reduce, these wires are unnecessarily thick. By smoothing the supply of electricity with storage (like in peak-shaving), engineers and electricians will not have to worry as much about peak output from intermittent supplies. They will be able to choose a wire thickness appropriate for slightly above the average power and current flow (slightly more… just in case) and thereby save on material usage. Storage on the supply side also reduces the influence of the merit order. If grid demand drops, wind power might be chosen to be turned off before other technologies to protect the grid because it is cheaper and easier to stop. If, instead of locking a wind turbine, its energy is simply stored, then the energy it would have produced is not lost. 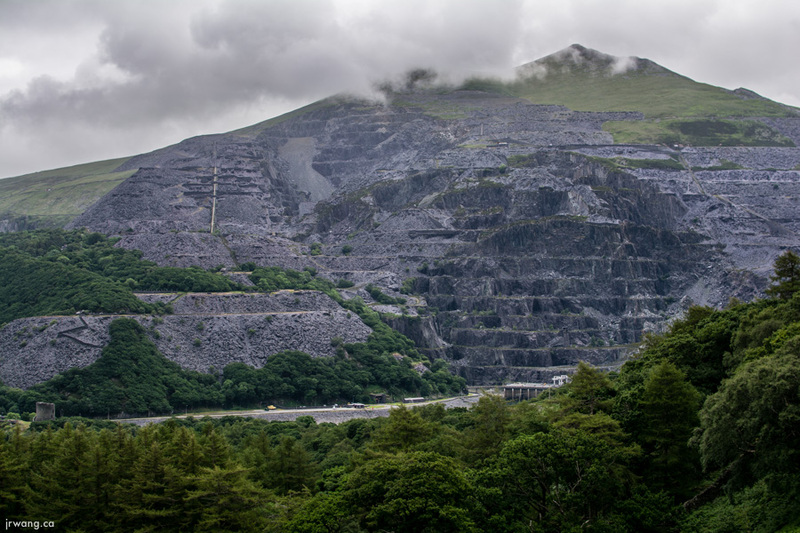 The Dinorwig pumped hydro storage facility is built into a mountain that used to be used as a slate quarry. Interestingly, this area is now a national park. What you see in the picture are remnants of the mine – not the storage system (except the doors and two buildings)! The magic is all inside the mountain. Energy storage can be used to make our electricity network safer and help us integrate more renewable energy sources. They can be used at the user, transmitter, or supplier levels for cost and material saving and to make our grid more reliable by buffering unexpected fluctuations. Unfortunately, storage technologies must still compete economically with fossil fuels which start in a stored form. Hopefully, with groups like the Energy Storage Research Network here in the UK and Canada’s new NSERC National Energy Storage Technologies network, we can continue to work to reach this point. Our world needs much more renewables to reduce our carbon output to the levels agreed upon at COP2120. Carbon capture technologies are also needed21,22 and we all have to reduce our overall energy consumption. Canada’s energy policy needs to catch up23 to other nations and Alberta especially needs to continue decarbonization24. There are definitely technical and political challenges ahead of us, but I am optimistic about the future! After all, Alberta went from the last jurisdiction in North America to incentivize energy efficiency25 to being the first Canadian province to introduce a climate leadership strategy. Furthermore, this strategy was composed with the support of the energy industry26. To quote former New York mayor and businessman Michael R. Bloomberg, “If bold climate action can make it in Alberta — to borrow a line about my hometown — it can make it anywhere”27. Drs. Andrew Pimm and Timothy Cockerill – the true reasons why I am here! In other posts, I will briefly talk about some modern sources of energy, thermal energy and why we should care more about it, and what we can do as consumers to combat climate change! In the darker colour is a plot of energy used. 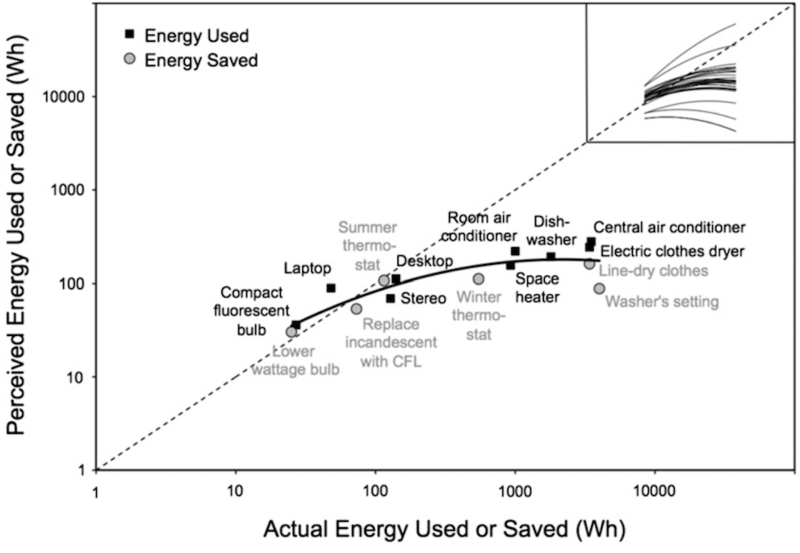 The appliances under the dotted line here mean that they use more energy than most people think. We should use these appliances less or replace them with more efficient alternatives. The lighter colour represents energy saved. Here, the actions or appliances below the dotted line mean that they save more energy than people think. We should try to do these actions or products more. Also, to save energy, get a mechanic to check on your car twice a year32 and change your oil when you are supposed to! Inertia: the property of a system where it likes to remain at the state it is in. A curling rock in motion is hard to push from stop and hard to slow when in motion. A coal/nuclear plant generates steam for turbines. Its fire/reaction has process inertia and the rotating turbines have mechanical inertia. It is hard to speed up or slow down a spinning turbine. Grid: connected system of power suppliers and consumers, including the transmission systems. This is a vast physical infrastructure. Insitution of Mechanical Engineers. (2014). Energy Storage: the Missing Link in the UK’s Energy Commitments, Op. cit.